Deepen your history knowledge and develop leadership through fun activities and exciting presentations. 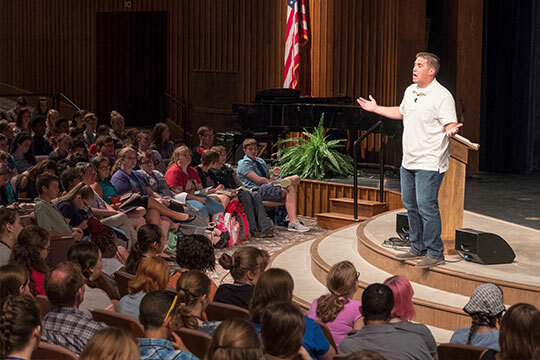 History comes alive as you explore America’s Christian heritage, examine the role of government, and deepen your understanding of God’s plan for mankind at History and Political Science Camp. This camp provides useful knowledge from historical eras and events, with practical training in political procedures. Daily activities include exciting presentations by Pensacola Christian College history and political science faculty and current political leaders, history challenges, legislative workshops, monodramas and skits, and special projects. With a biblical foundation, you’ll develop a greater appreciation for your heritage and broaden your understanding of government. Campers will visit the National Naval Aviation Museum and need to bring a photo ID to camp for admittance. Those wanting to view the Giant Screen Theater at the museum should keep cash available for the desired shows. Registration closes Wednesday, June 27 at 8 a.m.
Past themes for History and Political Science Camp have included studies in America’s first colony Jamestown, the West, exploration, and the American republic. History and Political Science Camp emphasizes leadership and provides practical tools for your future in history or politics. Dr. Stephen Northrop earned a doctorate in history from Pensacola Christian College. He began teaching history at the College in 1996. He enjoys his role as director of the PCC Summer History Camp and believes that teaching history in the camp setting is a great privilege. Studying history is important because it allows us to understand our past, which in turn allows us to understand our present. It is paramount to study history to ensure that we do not repeat mistakes that have been made in the past. 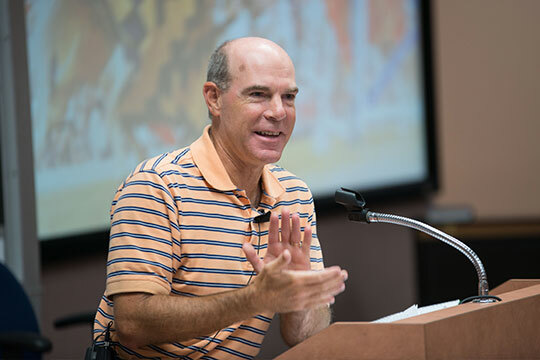 As a Christian educator, Dr. Northrop desires that each camper learns why history is vital to Christians and how God has blessed our country.